FOURTH, CENTRALISATION OF POWER AND PERSONALISATION OF LOYALTY. Easily the deadliest poisons to our national democratic life are personalisation of loyalty and concentration of political and administrative powers at the centre, initiated and controlled by partisan juntas then and now via the 1999 Constitution and political party cabals, some cabals themselves dominated by ex-juntas in mufti. A military coup is an unpatriotic, treasonable conspiracy by a handful of officers against the military establishment, the government and the State. The glue holding such officers together is an unstable blend of personal loyalty, and spoils of office. We have over the years erroneously spoken of, and written about military regimes in Nigeria; they were actually juntas – small cliques of officers, openly driven by sectional aims and bigotry, holding to ransom thousands of enlisted uniformed public servants in the Army, Navy and Air Force who, with bowed heads and great trepidation (they had lives, families and careers to protect, you see) carried out given assignments as hijacked intelligence units in those services breathed down their necks round the clock in search of “enemies” and “traitors” and specially equipped armoured units mounted guard over all other severely under-armed infantry units. An Army, or Navy or Air Force where a General cannot talk to a Major and its equivalent or cannot have him/her disciplined because he/she belongs to inner caucus or close to those close to the inner caucus should not and cannot be a proper military organisation – hence no military regimes as the military organisation was never in control except under the Gowon regime. A retiring Army Chief of Staff in the early 1990s in his farewell address had observed that the Army/Military “is where everything/anything goes”; he knew what he was talking about. 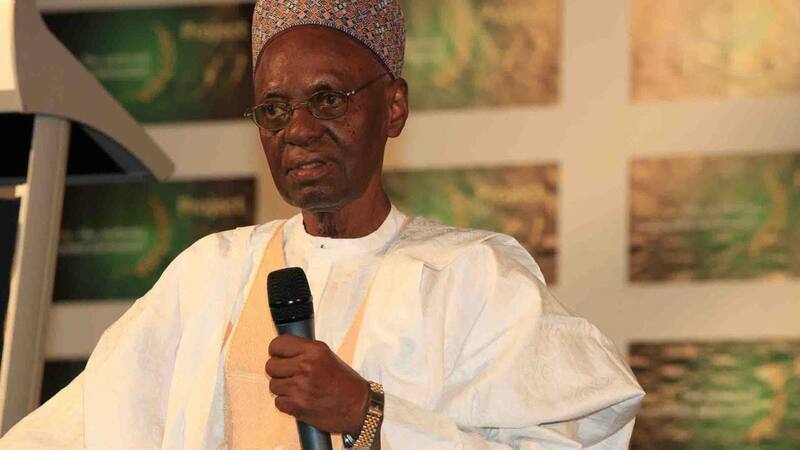 The Shehu Shagari’s administration stood a most regrettable interlude for putschists, whatever were its failings, including ever-present corruption, the most disliked failing was as democratic checks and balances kicked in, some adverse Supreme Court rulings and protests by organised labour, undiluted control at the centre began to intolerably, to them, give way and that was bad for expected economic and other returns – and he was kicked out. The most accurate description of the succeeding junta would be it was at war with itself, with every organisation, with every organised group in society, with everything except concentration of power in the headship – which also discarded the Christian/Moslem formula for first two political positions; both putschists were unapologetically Moslems. In the end, the putschists ensured that no more states could be created by imposing a condition of consent by two-thirds of the states in the 1999 Constitution! FIFTH – HUMAN RESOURCE MANAGEMENT POLICIES AND PRACTICES. The military chain of command as first casualty of coups, arbitrariness takes over as some officers are killed, some held under detention, and others summarily dismissed or retired in intermittent waves. One need not be jaundiced to take it for granted that over eighty per cent of those affected were from the South. Promotions and postings or deployments are for the favoured and to buttress partisan junta’s survival and further hold on power. It is when attention is turned to the civil service, parastatals and other government departments that the carnage reaches crescendo. Overnight General Murtala decimated the public service, retiring close to 10,000 top and middling public servants, the cream, by all accounts. Again, we need not guess where most of them were from. Most experts have concluded Nigeria is yet to recover from this single action; these public servants with governments of the First Republic and the Gowon regime provided cross-country solid infrastructures and refineries that putschists specialised in corruptly running aground these past decades! These arbitrary retrenchments were carried out with great relish and gusto by all juntas, except for Gen Abdulsalami Abubakar’s period, driven by hate and bigotry. Considering all parastatals, including police, customs and immigration were treated similarly, the extent of organisational inefficiencies wrought and humiliation and demoralisation inflicted on thousands of competent men and women in service of their country, are beyond imagination. You retire the top fifty and more officers for an in-law to head Immigration or Police or Customs. An unparalleled bizarre imposition was of a journalist as Governor of the Central Bank! We don see sometin, sha! The other side of the coin has been the blatantly skewed recruitment, placement and promotion of public servants despite a Federal Character Commission, a great many inexperienced hands transferred from favoured state governments to the centre. Military officers are catapulted through the ranks to become even generals without having passed any mandatory exam in courses or training attended. And undeniably more devastating has been the political decapitation of ministries and parastatals whose professional heads have been declared “political appointees” with the attendant effect of determination of policies by whims and caprices of those who appointed them, not outcomes of well thought-through options via various technically competent internal committees of experts, as transfigured permanent secretaries and director-generals out of self-interest and realism are too frightened and unwilling to transmit above what lower officers and experts have arrived at. All bureaucracies are designed to make possible rational decision-making and outcomes in spite of biases and other human weaknesses, hence a clear stipulation of processes, qualifications, the career structure, compensation levels, and conditions for promotion, resignation, termination and dismissal. Waking up one morning, as has been the case in the NNPC and other parastatals, and “retire” officers who have no disciplinary cases against them and not served their thirty-five years in service, and catapult favoured persons who do not meet requirements as written, to top positions is not only destructive of the system by undermining the main sinews for national development and administration but also has wider ramifications for public sector compensation relativities and notions of fairness in democratic life. 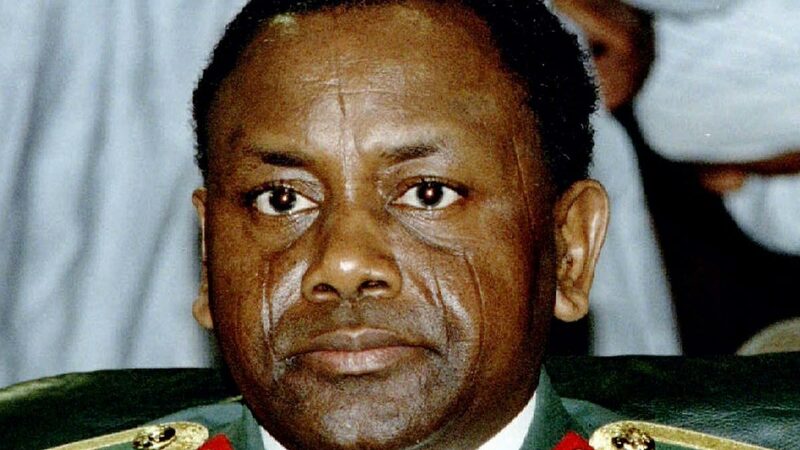 For example, during the First Republic, the permanent secretary (not all, being classified, with external affairs and economic development, and finance in highest group) earned ₤3000 per annum and the professor ₤3200; during the Abacha-led junta, the former N7800 and professor N7300; since General President Obasanjo administration, the former earns between N10 million and N18 million and professor N6 million, the latter not being in the camp of putschists and a question of brute force to do and get what you want. And since 1999, the arbitrarily fixed salaries and perks of legislators have “gone nuclear”, as my students often say, actual amounts literally treated as classified and fudged, depending on which allowances are deliberately left out (since some are paid monthly, yearly, and others every five years) ranging, one is told, between N10 million and N45 million a year, the problem not residing with the Revenue Mobilisation Allocation and Fiscal Commission (RMAFC) but with the National Assembly, Auditor-General and a totally superfluous Fiscal Responsibility Commission invented by General President Obasanjo whose functions, by the way, RMAFC should take over. Whatever has been recommended by the RMAFC is not only subject to the approval of the National Assembly, the National Assembly naturally in self-interest modifies them and pays monies directly to legislators with which to run their respective offices, pay rent, and cover travels and other activities legislators engage in, amounts only the Clerk of the House and Auditor General can verify and query. What may be said is that there are scientific, practical and historical reasons in all countries why pay for all public officials bear a logical relationship between them, differentials which embody position in the hierarchy, fairness, and standardised components of compensation packages. For example, a good friend of mine, a former Governor, spoke of receiving N200 million “severance package” – although he was not being “severed” as tenure ran its stipulated course (aside from all former governors retaining also some domestic and security staff on public funds) after a very long eight-year tenure and a monthly non-contributory pension of about N750,000, compared to a professor who after very short 40 years has contributory pension of about N12 million gross (no gratuity), which may be accessed via a PFA for about N150,000 monthly survival allowance. Excepting Nigeria, no public sector compensation system is run this way, because no institution (e.g. National Assembly, House of Assembly) should have the legal competence to unilaterally distort it at will and undermine the fairness embedded in it. Eight years are long enough for Ministry of Lands and Housing, and Ministry of Works to obtain and construct a building, with direct labour to minimise cost, for any Governor as “severance” assuming such must be the case. And like my friend pointed out, his state was the least generous on these matters, others include paid-for periodic foreign family trips and other allowances, not to mention many past governors have other pension before occupying that position. Going by these practices, there should then be graduated severance package, in relation to rank, for all public servants, since their services to the country are no less important, and the abandonment of most of the much-trumpeted “pension reforms” and the 2005 Pension Act itself, whose provisions are obviously being selectively and punitively applied. And when you add the fact of many deserving public servants have not been promoted since 2007, we cannot be aiming at evolving an efficient, well-motivated and corruption-free public administration. This buttresses my suggestion over the years why only the Salaries, Incomes and Wages Commission should handle public sector compensation as it has an integrated template for all salaries and fringe or non-money benefits for the sector and allow the RMAFC, currently in very competent hands, to focus on revenue mobilisation and fiscal matters. There has to be wholesale restructuring of public sector compensation and the relevant institutions now, of which KPMG has vast experience at doing. The surprise (shock, is perhaps more accurate) is ASUU, NASU and other trade unions have not brought the university system and public sector activities to a screeching halt until these are done! Pre-primary, primary and secondary institutions have always been private sector driven, governments establishing only a handful of these schools since colonial times. The two most critical regulatory bodies have been WAEC and JAMB, both venomously and consistently attacked by some politicians and traditional leaders for the “poor performance” of some children from their domains. Rather than Nigeria taking the lead in increasing a continental scope for WAEC, a local NECO was created, presumably to make passing O’Levels “easier”. For the federally-controlled secondary and tertiary institutions, a cursory look at admission criteria – not to speak of recruitment, placement and promotion policies – reveal just how much twisted perspectives prejudices can breed. The admissions formula is 45% for Merit, 35% for Catchment Area, and 20% for Educationally Disadvantaged States! Catchment Area in effect is “tribalisation”, a device for reserving places for children from a group of states or ethnic group in secondary and tertiary institutions, funded from the general purse, but located in their immediate environs! Adamawa, Bauchi, Bayelsa, Benue, Borno, Cross River, Ebonyi, Gombe, Jigawa, Kaduna, Kano, Katsina, Kebbi, Kogi, Kwara, Nasarawa, Niger, Plateau, Rivers, Sokoto, Taraba, Yobe, Zamfara are the so-called educational less advantaged states. States educationally disadvantaged by whom? They have a predominance of children from poor homes? They were prevented by others from implementing universal basic education policy and those before it? Some of these states, for political and religious considerations, even seized private secondary schools over which they could exercise maximum control. And one cannot fail but notice those appointed to head education policy-making and implementing institutions – Federal Ministry of Education and its Departments and Parastatals under it – have substantially been drawn from these same states also. Or, that their statutory allocations were so minuscule that they could not budget handsomely for education, not minding the paltry nearly three-quarters of a billion naira spent on purchasing a building in Abuja for just one person, a turbaned brigadier-general, in one of them? The bottom line, some 55% of those admitted (catchment area and educationally less advantaged) have totally irrational and unmerited lower entry marks or cut-off points, and even among them some have much lower cut-off marks still in a downward spiral of mediocrity at entry point into these institutions! It took a court case to compel JAMB, after some 37 years of its existence, to have same cut-off points for all children only a few months ago, having hitherto arbitrarily awarded discriminatory cut-off points to states of its choice! Indeed, JAMB consistently fought against universities which sought to develop additional internal tests to improve upon quality of intakes. We thus find that in all federally funded tertiary institutions, the admissions formula is so stage-managed to ensure over 85% of those admitted come from a few ethnic groups around where they are physically located. Ethnic consciousness and divisions are thus driven deep into our children’s psyche quite early by a few bigots who see all this as part of sharing the “national cake” and behave as if God concentrated children with high IQs in certain parts of the country and who would otherwise take up available places if a purely merit-based formula were applied. A similar discriminatory system is then also used in offering jobs, placement and promotion in the public services after the children graduate, and some wonder why there has been widespread disenchantment! And upon failing to relocate from Effurun to Kaduna the Petroleum Training Institute, the only petroleum training university in one of the ten highest oil-producing countries in the world has one building decorating the bushes on its permanent site. Disenchantment, from all evidence which has been of no concern to the beneficiaries of these warped arrangements, is the least of the ills such a system produces and can produce. SEVENTH – ECONOMIC AND DEVELOPMENT POLICIES/PROJECTS. Projects and their locations, aside from personnel appointments and contracts, have been the main gains of greed and parochial considerations, being so many one would mention only a few by way of illustration. A refinery in Kaduna and spend what could easily buy another refinery to lay cross-country pipelines to convey crude oil to it. Distribute steel mills to favoured sites, most of which died at birth, excepting Delta Steel, and Ajaokuta one is yet to-be-born despite millions of dollars expended. The cancellation of the Lagos Metroline project. The relocation of capital from Lagos to Abuja, wondering what the billions of dollars spent and still being spent on developing the latter would have done for the economy and country. 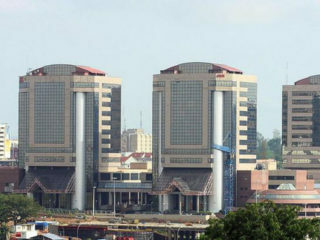 The centralisation of powers in, and relocation of NNPC Headquarters to Abuja by people who travel regularly to Houston, the North American oil-capital that is neither American capital nor that of state of Texas but economies of scale are reaped by companies and the government alike because of concentration of activities where oil and gas are located. The abandonment of railway system in preference for uneconomic, long distance road haulage dominated by a few persons favoured by putschists and whose trucks/trailers park dangerously by roadsides throughout the country causing deaths by accidents, breaking the roads, render them impassable and yet their drivers remain untouchable to law enforcement agents. The construction of a none-to-little value added Abuja-Kaduna rail line, on borrowed hundreds of millions of dollars, in preference to second bridge over the River Niger in the East. The sheer neglect of the ports at Calabar, Warri, Koko, Burutu, and other places for millions of dollars frittered away in ostensibly dredging of uppermost areas of River Niger to create inland ports in the North. The concentration of hydro-electric power generation, as distinct from irrigation schemes, in northern parts rather than most of the south with heavy rainfall, rivers and water abound all year round. Federal road development followed same pattern, and in all its years in road development, the Petroleum Trust Fund did not construct a single road anywhere in the Niger Delta region, the area where the PTF’s funds were derived, the official explanation one understood was that the terrain would render cost of construction too high. Even the funds devoted to redesigning and constructing all manner of roads in and around Abuja are more than sufficient to rehabilitate the East-West trunk road. Have you ever had any concrete data on the contribution of solid minerals to the economy and those quietly making millions from them? Now in vogue is modular refining, but obsession with centralised control tends to pervert good projects even before they are embarked upon, hence the proposal to construct six of those in the South-South zone, all controlled by centre like the existing barely-functioning refineries. The main and valid criticism has always been that those who control the NNPC, by imposing high minimum refining capacity ensure only very large and transnational companies can invest in refineries. The general principle governing private enterprise is that the investor decides on scale of investment, and so for modular refineries, leave it to any Nigerian company or investor to decide whether 2,000 or 5,000 or 10,000, or 20,000 barrels per day capacity is what it or she/he wishes to invest in. Regulatory authorities are merely to certify that processes are environmentally friendly, safe for workers and nearest communities. But should the federal government want to quickly wind down importation of refined petroleum products by investing in relatively less expensive modular refineries, such should be without prejudice to other Nigerians doing same. Otherwise, old and especially profitable habits die harder and we would be back to where we started – the latter being the aim of those gaining most from existing arrangements and pushing for central control. Wait…wait…wait first. 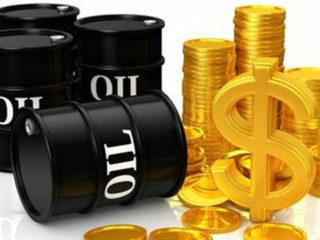 Na true say for long time now, pass 30 years sef some people talk, one oil rig dey tanda for Lake Chad pretend to drill, abi explore, for oil and dem dey charge dis country half million dollars every day…abi na every week sef I nor fit remember-am well…and some people just dey pocket the money? Hmmm…let me say that Shell-BP conducted seismic surveys all over the country, including our side of the Lake Chad area, and found traces of or non-commercial quantity of oil deposits there. It might well be that more sophisticated equipment and methods now justify, aside from such off-and-on beggar-thy-neighbour “bad belle” talk of “we have oil too”, more intensive search, you never know. 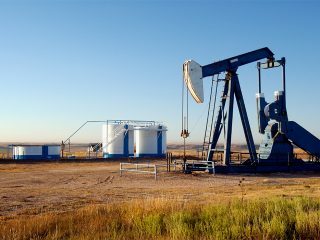 As for being a scam, given all the reports on fake oil liftings, oil blocks and more, including all the elaborately choreographed publicity on recent efforts in that direction and which Boko Haram seems to have tragically disrupted, do not rule out that possibility. Monies are looted in obvious and sometimes mysterious and devious ways in this country. This rumour of yours deserves investigation by the EFCC and other relevant agencies. • Professor Otobo is of the Faculty of Business Administration, University of Lagos.